Last week was the most historical Veterans Week in recent history. Thousands gathered around the U.S. to celebrate veterans and their contributions and sacrifices to their communities. From America’s Parade, to dozens of IAVA events across the country, IAVA members celebrated our nation’s veterans and continued the call to join the #OperationUniteAmerica movement. By taking our advocacy to the media, more than one million people heard our call to take part in #OperationUniteAmerica last week alone! Check out some of the highlights below! IAVA Board Member, General (Ret.) David Petraeus, joined CNBC’s Squawk Box along with IAVA Founder and CEO Paul Rieckhoff to talk about veterans being an investment, not a charity. 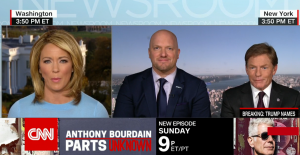 CNN’s Brooke Baldwin welcomed IAVA Board Member and 2016 IAVA Heroes Gala Civilian Leadership Award recipient, Kenneth Fisher, to discuss the work the Fisher House Foundation does on behalf of our nation’s veterans. 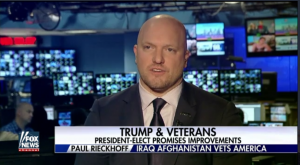 IAVA Founder and CEO Paul Rieckhoff speaks with NPR Morning Edition on Veterans Day and what we expect from the next Commander-in-Chief. IAVA Founder and CEO Paul Rieckhoff speaks with MSNBC’s Andrea Mitchell on Veterans Day and Veterans in Government. Legislative Director, Tom Porter contributed to Politico’s Morning Education coverage of the movement of the Veterans First Act ahead of Veterans Day. ​PBS NewsHour asked what veterans expect from President-elect Donald Trump​, and IAVA answered​. Fox News White House Correspondent Kevin Corke, reporting for Special Report with Bret Baier discusses with IAVA Founder and CEO Paul Rieckhoff what lies ahead for VA under a new presidential administration. IAVA is focused on results and has delivered historic impacts over the last decade plus. As the leading voice of the Post-9/11 generation of veterans, IAVA aims to keep the issues of the veterans community in the forefront of all American’s minds. 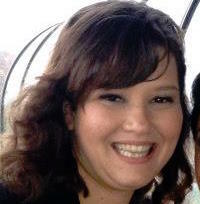 To help keep IAVA as a leader in the media support the cause, please consider donating today at http://iava.org/donate/.